The Philadelphia Phillies played their first home game of the 2017 season, Friday, April 7, at Citizens Bank Park. The Philadelphia Phillies are on track to move forward with plans that would create a set of permanent barricades around Citizens Bank Park. Billed as a project to preempt potential terrorist attacks, the security measure would involve installing bollards and a combination of permanent and removable barricades at the curbsides of the ballpark. Upgrades would be placed on a reinforced foundation along the north footway of Pattison Avenue, the west footway of Darien Street, the south footway of Phillies Drive (formerly known as Hartranft Street) and the east footway of Citizens Bank Way. A City Council bill authorizing the plan is now under consideration and would allow the Phillies to construct the perimeter in time for the start of the 2019 season. The need for the perimeter was identified in response to vehicular attacks that have occurred in crowded destinations around the world. Ten people were killed and 15 others injured in Toronto last month when a man drove a van into a group of pedestrians on a busy street. A defensive perimeter at the stadium, set 18 inches from the curbside, would effectually wall off vehicles from foot traffic at the stadium. 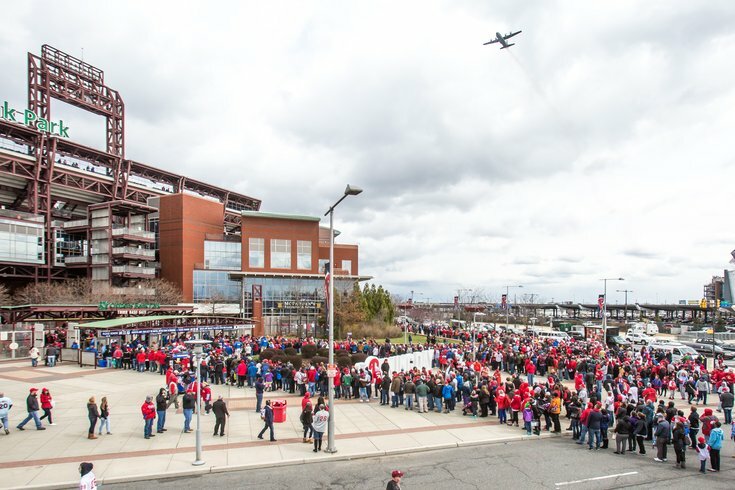 The proposal comes a few years after the Phillies installed metal detectors at Citizens Bank Park as part of an MLB-mandated pilot program aimed at preventing future terrorist attacks.